On Friday, September 22, Treasury Secretary Steven Mnuchin will preside over a meeting of the Financial Stability Oversight Council (FSOC)—the fourth meeting since he assumed the chairmanship more than seven months ago.1 The FSOC is a new regulatory body created by the Dodd-Frank Act to address systemic risk in the financial sector, playing a role that was severely lacking in the run-up to the 2007–2008 financial crisis. However, missing from the agenda once again is an update on the FSOC’s investigation into the potential financial stability risks posed by the hedge fund industry. The FSOC formed a working group in April 2016 that has performed cutting-edge research on this topic over the past year. Although the hedge fund industry generally opposes even the existence of this working group and its inquiry, the FSOC’s hedge fund work stream is too important for President Donald Trump or Secretary Mnuchin to shut down. This issue brief first outlines the need for robust financial sector systemic risk oversight. 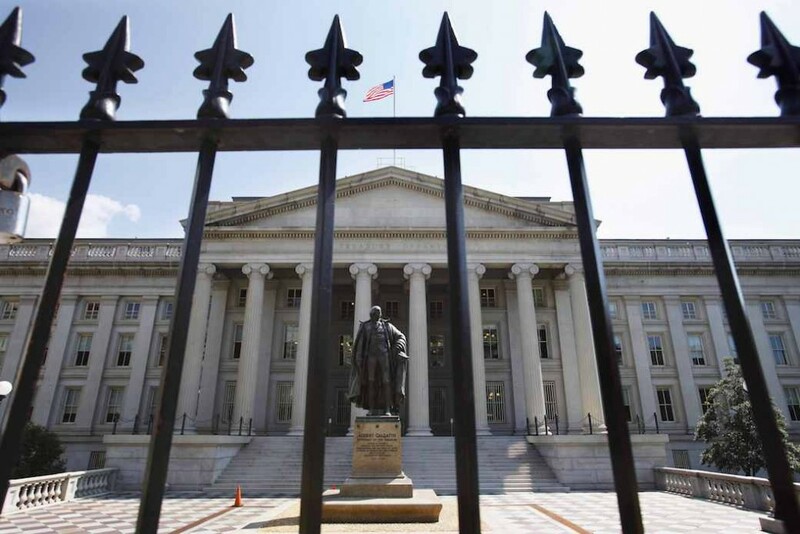 It then details the compelling analytical framework the FSOC’s hedge fund working group developed last year regarding the potential financial stability risks that hedge funds pose. Next, the brief uses the case of Long-Term Capital Management (LTCM), as well as research on the financial crisis, to demonstrate that the FSOC’s framework for hedge fund risks is not merely theoretical. Finally, the brief highlights the regulatory improvements that the Dodd-Frank Act has made in this issue area, concluding that the FSOC’s work must continue and that additional legislative and regulatory actions may be appropriate. While leverage may make stress or outright failure during a financial shock more likely for a hedge fund, the question for financial stability purposes is whether and how that hedge fund transmits stress or risk to other financial institutions. The two key transmission channels, or the mechanisms through which stress can be passed on from hedge funds to other parts of the financial sector, that the FSOC has identified are fire sales and counterparty exposure.14 If a large, highly levered hedge fund were to undergo significant stress, it may have to resort to asset fire sales—the liquidation of potentially illiquid assets at steep losses—to raise cash to meet its obligations. Selling assets at steep losses can affect prices across entire asset classes. Financial institutions ranging from banks to insurance companies may then face increased stress from margin calls—demands from creditors for more cash or collateral—if those creditors question the updated value of the same assets. Margin calls and creditor concerns could lead to more fire sales at other financial institutions, propagating a dangerous cycle. In addition to developing this theoretical framework as a good starting point to investigate the issue, the FSOC has also identified certain data limitations that need to be addressed going forward. In November 2016, when the last public update on the hedge fund working group’s progress was issued, the FSOC outlined five data limitations that need to be rectified to better understand the risks posed by hedge funds. The limitations included improved data harmonization and sharing among regulators; more detailed data on hedge fund exposures; better information on the terms of hedge fund funding to evaluate asset and liability matching; data on bilateral repurchase agreements; and more thorough information on posted margin and unencumbered cash.16 Trying to solve these issues is an important goal of the working group. History demonstrates that the FSOC’s framework is not merely theoretical. In 1998, when Long-Term Capital Management, a large and staggeringly leveraged hedge fund, was on the brink of failure, the Federal Reserve Bank of New York helped facilitate a private bailout. The bailout was necessary to stave off a potential financial crisis, as several major Wall Street banks had significant counterparty exposure to LTCM.17 LTCM’s failure posed a threat to financial stability. The fund was leveraged 30-to-1 when looking at its debt-to-equity ratio—turning $4 billion in net assets under management into $125 billion in gross assets. But LTCM’s use of derivatives meant that its leverage exposure was significantly greater, topping out at more than $1 trillion.18 As a point of comparison, today, there are dozens of hedge funds with more than $10 billion in net assets under management.19 In addition to this lesson from 20 years ago, research from the Federal Reserve Bank of San Francisco offers evidence that hedge funds were a critical vehicle through which stress was transmitted during the 2007–2008 financial crisis.20 This analysis of financial sector linkages and spillover effects concludes that the financial stability risk hedge funds pose is worthy of further investigation. After the financial crisis, important steps were taken to mitigate some of the risks posed by the interconnection of banks and hedge funds and to gain more data on this opaque subsector of the financial system. The Volcker Rule, a core piece of the Dodd-Frank Act, was passed in part to limit the interconnection between banks and hedge funds.21 The LTCM debacle is illustrative of the different ways in which bank exposure to hedge fund risks can play out. In addition to lending to LTCM or serving as a counterparty to a derivatives contract with the firm, many of the large prime brokers that ended up bailing out LTCM were directly invested in the hedge fund.22 The Volcker Rule severely restricted these investments, only allowing banks and their affiliates to invest a small de minimis amount in hedge funds that the bank sponsors. This limits the potential exposure if a fund were to fail in the future. Banks were also exposed to LTCM’s failure through their proprietary trading desks, as these banks mimicked LCTM’s highly leveraged, swing-for-the-fence bets for their own profit.23 If LTCM had been forced to get out of these bets at fire-sale prices, it would have had a severely adverse impact on the proprietary trading desks that also held those positions. The Volcker Rule’s ban on proprietary trading ensures that this form of prop-trading fueled correlation—in which banks copy hedge fund trading strategies—is no longer allowed at banks and their affiliates. It is important to note, however, that as counterparties, prime brokers are still highly exposed to hedge funds through their credit provision and derivatives activities. While the post-financial crisis progress on hedge fund risk must be preserved, more needs to be done to fully comprehend the potential risks that hedge funds pose to the financial sector, making the FSOC’s work even more vital. Depending on the continued analysis of the hedge fund industry, lawmakers and regulators must keep all options on the table. Although it is perhaps too early in the evolution of this work stream to start making discrete policy recommendations, there are several options to further deal with this potential risk. Policy options include the FSOC using its authority to designate a hedge fund as systemically important; granting the SEC and CFTC the authority to impose leverage limits on hedge funds; and more stringently monitoring prime brokers’ exposures to hedge funds in a coordinated manner. These options should be carefully vetted in conjunction with the mounting evidence of the financial stability risks that hedge funds pose. At the very least, the FSOC should create a formal structure for the ongoing monitoring of the hedge fund sector. Data from Form PF and other sources, including the OFR’s ability to subpoena financial sector data, would inform this quarterly or biannual formal review. Innovation and an evolution of risks in the hedge fund sector mean that the FSOC’s hedge fund working group should not be a one-off endeavor. At times, in the lead-ups to past crises, activities and losses in the hedge fund sector have proven to be a canary in the coal mine. For example, Bear Stearns’ hedge funds with subprime exposure collapsed in summer 2007, signaling the impending subprime crisis.28 Regulators would be well served to pay more attention to the hedge fund sector going forward. Will the Trump administration ignore the risk? 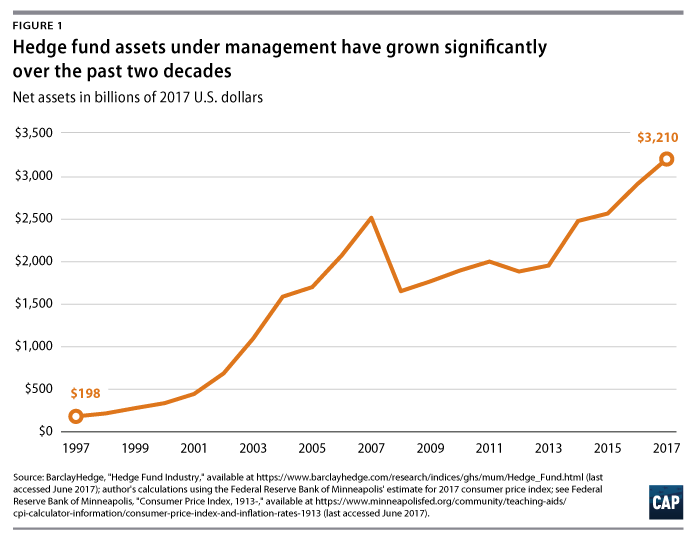 The LTCM disaster, evidence from the financial crisis, and the FSOC’s theoretical framework all suggest that the hedge fund sector deserves further investigation and regular attention. The FSOC’s investigation into the lightly regulated and growing hedge fund industry is the type of thorough and data-driven systemic risk-related inquiry that the council was created to perform. It has been 10 months since the public was last updated on this crucial work stream. In that time, hedge funds have filed an additional three quarters worth of data through Form PF. At the next FSOC meeting, Secretary Mnuchin should affirm this line of work and provide a thorough update on new findings, including the concrete next steps the FSOC has taken to rectify the data limitations outlined in the last public update.